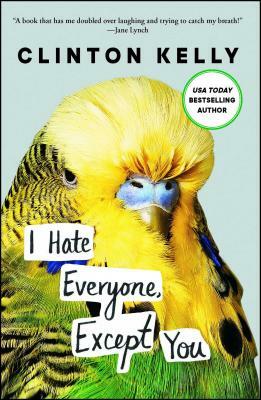 From the bestselling author, beloved television host, and “arbiter of style and good taste in all areas” (People) comes a hilariously candid, deliciously snarky collection of essays about his journey from awkward kid to slightly-less-awkward adult. Whether he’s throwing his baby sister in the air to jumpstart her cheerleading career or heroically rescuing his best friend from death by mud bath, Clinton leaps life’s social hurdles with aplomb. With his signature wit and relatable voice, he shares his unique ability to navigate the stickiest of situations, like find true love in a crowded gay bar or deciding whether it’s acceptable to eat chicken wings with a fork on live television (spoiler: it’s not). Clinton delves into all these outrageous topics—and many more—in this thoroughly unabashedly frank and uproarious collection.